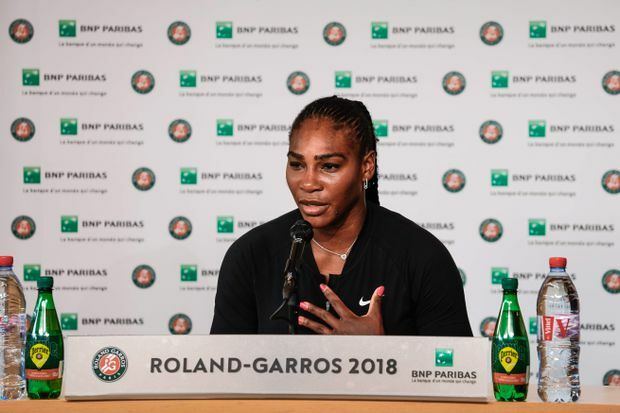 Serena Williams gives a press conference as she announces her withdrawal from the French Open at Roland Garros in Paris on June 4, 2018. Serena Williams says the conversation about stopping domestic abuse shouldn’t just centre around women, but men as well. “This is a human rights issue. We should all be treated the same. We should be treated equal. With domestic abuse, it doesn’t care what colour you are, what background you’re from,” she continued.